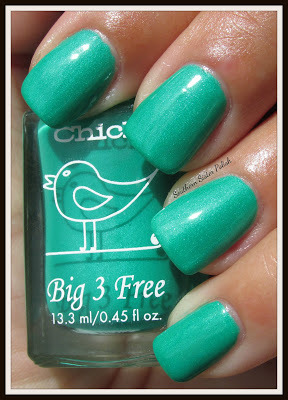 Chick Nail Polish, Gavie Green, .45 fl. oz. Bright emerald green shimmer nail color that dries to a matte finish. Can use top coat over it to make it glossy or leave it as a matte color.